Club will meet to explore the various ways to get the most our of your cutting system . 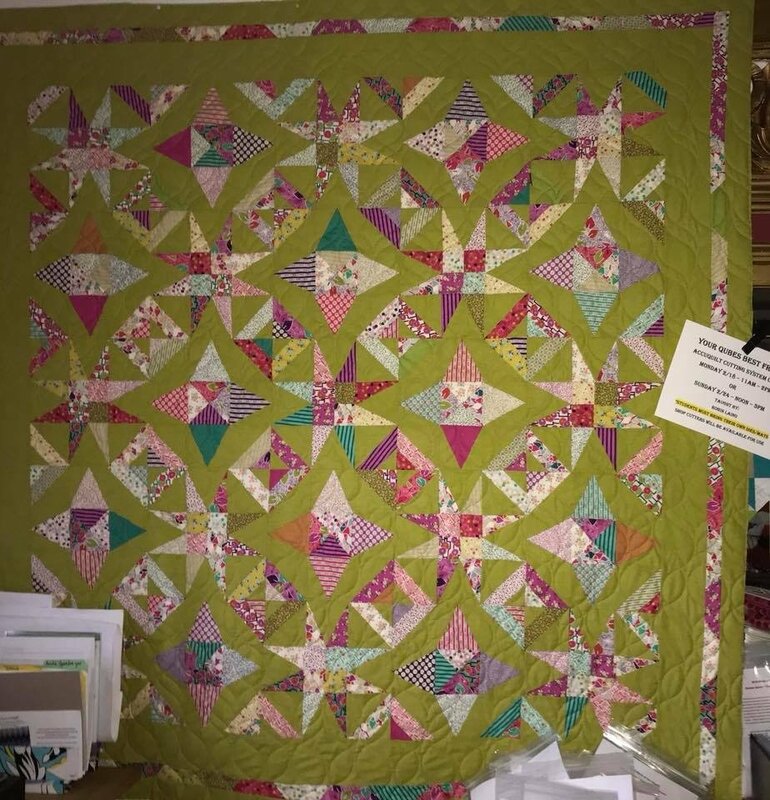 Students will cut and assemble the two blocks needed to go on to create the full quilt or may choose to finish it as a pillow. We will email fabric requirements for both versions upon registration. Students do not have to bring their cutters to class; however they do need to bring the indicated dies & mats! All students who purchase their dies from us will receive a discount on the die upon class registration & die purchase. Please register early and let us know if you need a die so that we are sure to have enough in stock. Materials Included: Project pattern is included in registration. Requirements: STUDENTS MUST OWN AN ACCUQUILT SYSTEM & DIES AS INCIDATED to take this class, Sewing machine, basic sewing supplies, fabrics as indicated in pattern (30 fat quarters & 5yd background for full quilt) AccuQuilt dies; 8 inch qube, 8inch angles, 2 1/2 inch strip & 4 1/2 inch strip cutters and mats for dies. Please have your fat quarters pressed and ready to subcut & Accuquilt cut!